To get off the ground, we're going to do all this using our localhost machine, to show the infrastructure in motion. But the very same code could just as well be deployed to a physical hardware device. And as always with Twilio, everything comes with a REST API so you can automate these steps at well. 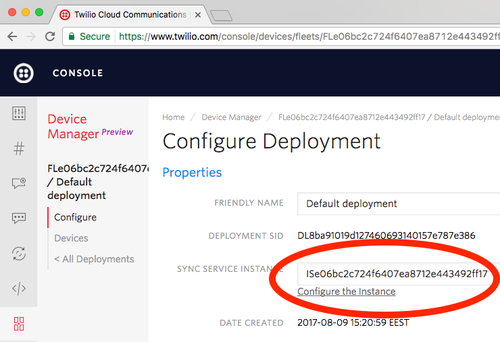 After working through this guide, we encourage you to check out the Device Management API documentation and dig further in to the possibilities. Our first step is to provision a Device Fleet. 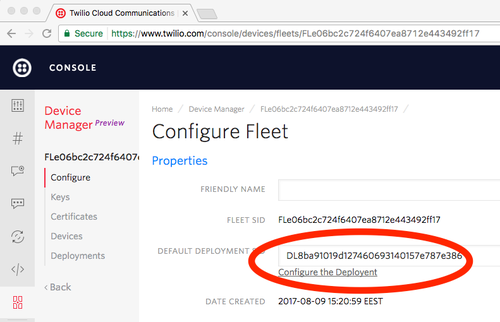 Fleets are isolation containers for your devices, their credentials, and deployments. 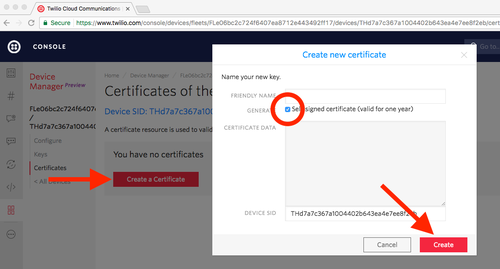 Within a Fleet, each of those may be reassigned or reassociated with each other, but across fleets your configuration and credentials are safely isolated. 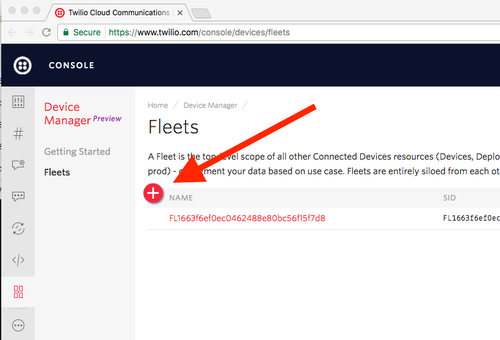 We’ll create our fleet in the Console Device Manager, clicking the plus sign and Create. No need to fill in any fields just yet. Creating a device is predictably simple. 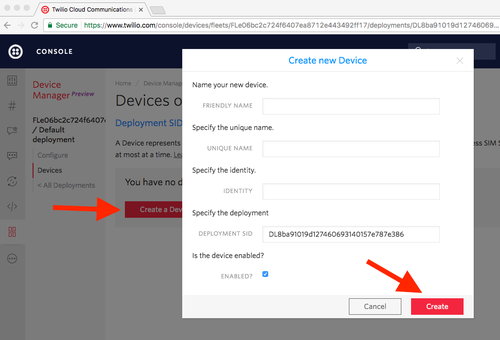 From your default deployment, click Devices in the left menu, select Create a Device (or the plus sign, if you already have some), and fill in the Deployment SID from the previous step. You can leave all the other fields blank for now. 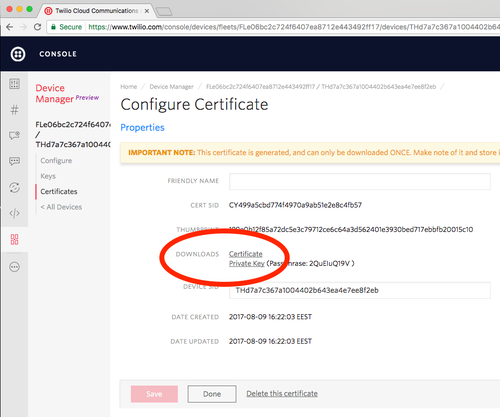 You will provide these two data — a certificate (.pem) and the matching encrypted private key (.key) — to the Paho MQTT client. Paho needs the latter in unencrypted form, so using the passphrase from above.